Meet the bike box team - we're a lovely bunch! Bikebox Online was started in 2009 by brother and sister team, Sam and Hannah Gardner. A mountain bike nut and professional triathlete, Sam started up the Windsor hub and like all brilliant big brothers promptly convinced Hannah to come onboard and open up a hub in Bristol. Dave Bramley and Kirsty Smith promptly joined the team in 2012 and the York hub was opened to service the more northern parts of the UK. With a combined experience of over 10 years hiring bike boxes and blighted by repairing their fleet, the trio decided to design and manufacture their own bike box. The VeloVault was launched in March 2014 and was the result of 18 months of blood, sweat and literal tears (Hannah’s mainly!) The VeloVault box was designed by Sam and takes his 30 years of cycling, engineering degree and travelling experience to the max. Sam new exactly what the box needed to deliver in terms of bike safety, ergonomics and ease of use while ensuring that all the components are of the highest quality to save time and hassle on repairing the hire fleet. Throughout 2014, Bikebox Online have opened up 6 new hire hubs throughout England, Ireland, Wales and Scotland and can now offer local delivery and a personal service to the majority of the UK and Ireland. 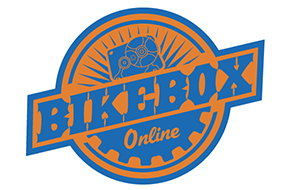 In 2015 and onwards Bikebox Online has to opened up many more hire hubs to cover the rest of the UK so that every cyclist has the opportunity to save money and protect their pride and joy by hiring the best boxes in the business. Click the links to meet the rest of the BikeBox team.